For all the cries of local ownership of radio stations as opposed to larger concerns like Clear Channel, none of the people encouraging small independent stations has ever gotten around to dealing with the issue I see coming from New Jersey this morning, by way of Scott Fybush and his NERW. 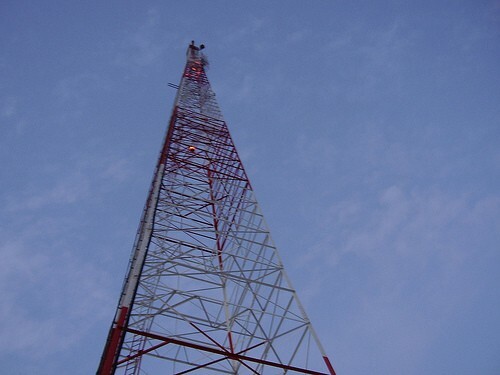 *Central NEW JERSEY is a tough place to operate a local AM station these days, up against a dial full of FM signals from within the state and neighboring New York and Philadelphia, not to mention a plethora of other entertainment and information choices. So it was probably only a matter of time before Greater Media pulled the plug on most of the local programming at news-talker WCTC (1450 New Brunswick) and oldies WMTR (1250 Morristown). That day arrived July 2, as both stations flipped to satellite “Good Time Oldies,” with only separate local morning shows remaining to provide some sort of local identity. Scott goes on to explain the particulars, but I think you get the idea. There’s no way that those signals would have survived as long as they have under single ownership, and even given corporate support from Greater Media, they’re not making much of a profit. The places are making more from network fed spots than they are trying to sell to local ‘Ma and Pa” stores. 1: Is there some way of making single owner stations profitable? 2: Given the idea of the free market, is that really something we want to do? Addendum: This post made the Chicago Sun-Times website via Blogburst. Thanks.